Contrary to some silly stereotypes, seniors are not shying away from technology these days. 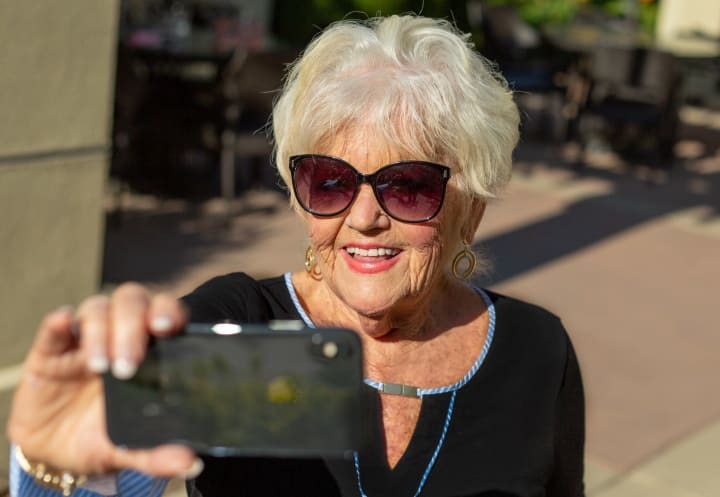 A recent study by the Pew Research Center found that seniors are more socially and digitally involved than ever before, going online for shopping, audio and digital books, dating and social media. When the Center began tracking internet adoption in early 2000, just 14% of seniors were internet users. Today, 67% of adults age 65 and older say they go online and the number of seniors who own smartphones has more than doubled since 2013. This is certainly true at our communities where many of our residents are finding ways to make technology a part of their daily lives, using it in so many different ways. Keeping in touch with family is the most popular use of technology for our residents but they are also checking stocks, shopping online and keeping up on the news. Once online, more seniors make the internet a part of their daily routine. The study found that three-quarters of older internet users go online at least daily, including 17% who say they go online once a day, over 50% say they do so several times a day and 8% who say they use the internet almost constantly. 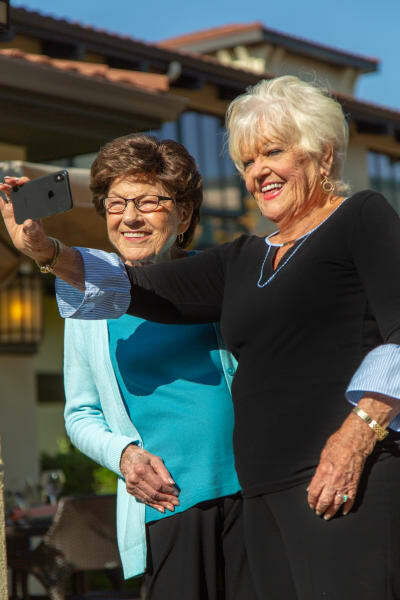 Among older adults who own smartphones, this figure is even higher with 76% of smartphone-owning adults saying they use the internet several times a day or more. 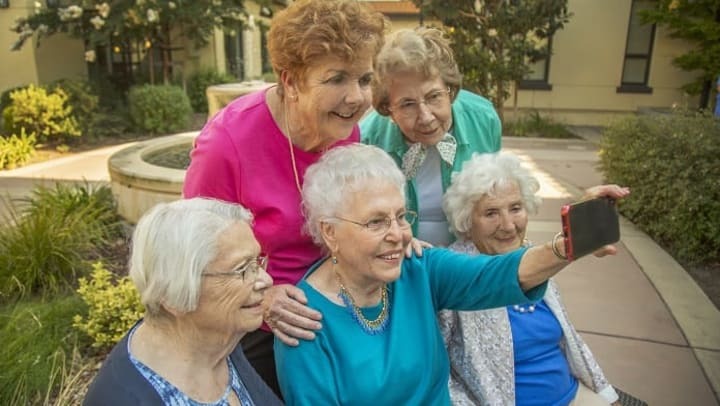 Social media is becoming more and more popular too, today, 34% of Americans ages 65 and up say they use social networking sites like Facebook or Twitter. 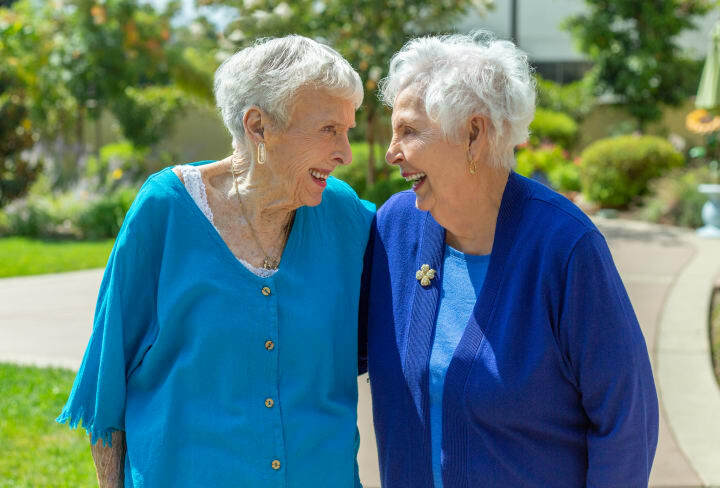 Of course as much as we love technology, we can all agree that nothing replaces some good one on one time with a close friend like these lovely ladies at our community in Campbell, California.